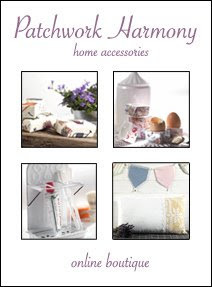 Caroline from Patchwork Harmony blog has recently launched a fantastic online shop, Patchwork Harmony Home Accessories. She has some beautiful items for the home which have been carefully selected and are inspired by vintage, folk and retro styles. There are some gorgeous trinkets and treasures so please go and have a look. Caroline is based in the UK but ships anywhere in the world. One lucky reader of Lilly's Life who leaves a comment on this post between now and the 10th of May (Mother's Day for many of us), will be eligible to win the following giveaway of Patchwork Harmony products. 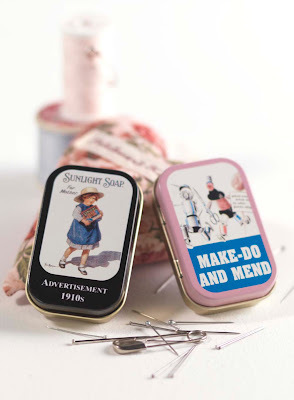 One retro tin which can be used to hold any of your trinkets, perfect for pins in your sewing box for example! PLUS, you get 10% off voucher at the Patchwork Harmony online shop. How cute are they and what a sweet shop Caroline has. I love a lot of her gardening pieces. Given I live in the UK I may have to do some shopping. These are so sweet and the shop looks great. Thanks lilly for posting Caroline's online shop. I love differnt things...meaning unique with a different take. 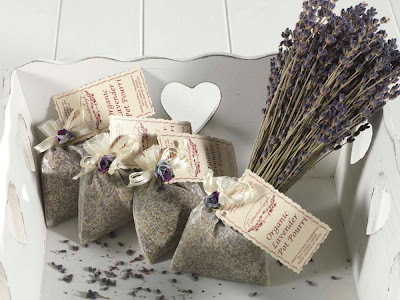 I love dried lavender and and those hearts(I collect hearts) are reaally pretty. I'm going to check her out! I know lots of babies and babies on the way that will love all of this! Thanks for sharing! What a lovely and generous group of prizes. Thanks so much for introducing such a great shop. These are gorgeous! Loving Patchwork Harmony's shop. Caroline has the most beautiful things , count me in please . What a wonderful idea, L@@k at you supporting and helping out, by holding a give a way! You are one Lovely Lady have I told you that (today ;-)) Well, you are. I spoke about you being over here yesterday in my 100th post, you were my 2nd here :-)) Lovely you!! There are so many beautiful things she is offering! I love that you are doing giveaways. They seem to be everywhere these days! What a darling collection. The heart is fabulous. What a sweet online shop, I really love the hearts too. I would love to win this adorable giveaway! I'd love to enter this giveaway. What a lovely selection of items, and the shop looks really good - will have a longer look around there later. 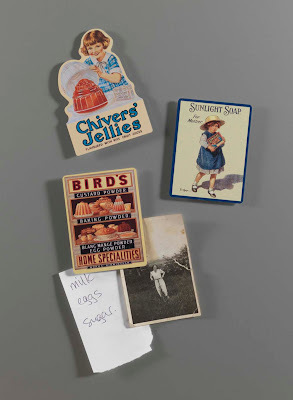 I love the magnets in particular. Very sweet. Does she send to the US? What a lovely prize package. I too think the pin tins are great. Your daughter put me on to your prize draw through another website. I've just been reading though some of your posts and I love your writing style. Yes the giveaway is sent anywhere and dont forget everyone we have lots more coming as well. Please take a good look at these sites though as they really have some sweet stuff. What gorgeous little trinkets and products! What a GORGEOUS giveaway - thank you!! The products are beautiful! Good luck everyone! What a great way to promote your blog and a great product. Beautiful things! I've been enjoying reading your blog - I too was directed here by your daughter from another site. I'm sat here in the Middle East, its about 40C outside and I am loving the absolute englishness of the prizes- lavender!!!!! This is a lovely idea, having the online patchwork shop. I've been dreaming of starting a patchwork quilt but just haven't gotten around to it. Finances are low so I thought I'd collect the scraps of material and make it like a memento ... Anyway, lovely items here for sure and a great place to pick up Mothers' Day bits and bobs. What pretty little items. Beautifully presented on the photos. Great shop.